Happy birthday dear. May the year ahead brings countless joys and you get everything you want today and always. May god shower his choicest blessings on you and watches and guides you on every step. May you always succeed in life. Happy birthday, my dear. Happy birthday to the sweetest person I know. I am ever grateful that you came into my life and I got a chance to bask in the light of your goodness. Happy birthday to the person who spreads wherever he goes. May your birthday and life be full of happiness and you never lack a reason to smile. Happy birthday, my dear. You are very special to all of us and wherever you go never forget this fact that we love to see you smile. I pray that your birthday is high on fun and laughter and your life is high on happiness and smiles. Happy birthday to my sweetest friend ever. May you live a strong and healthy life full of happiness. May all your wishes come true and you never face a sad day. Happy birthday. Happy birthday dear. I bet your birthday is going to be awesome because an awesome person like you deserves nothing less. May god bless you. I hope you have a precious and valuable year ahead and the new chapter of your life starts on a good and high note. Happy birthday dear have a fabulous day ahead. Birthdays are special, because they mark the beginning of a new chapter in life and give the opportunity to start life all over again. Happy birthday my dear! May your birthday be as amazing as you and your year ahead is full of laughter, happiness and grace. May god watches over you as you take giant steps towards success. Happy birthday!! Before you cut your birthday cake remember to let go of all the mistakes and pain of the past and work towards starting a new and fresh life ahead. Happy birthday!! Happy birthday my dearest buddy. Hope your day is full of laughter, fun and parties and I be a part of each of them. Take care and enjoy. It’s your day after all. Words fall short when I attempt to describe the happiness I feel on celebrating another year of life. Happy birthday, May I get to celebrate many more such birthdays with you. Look up…..do you notice any change? Well look closely for the sun is shining more brightly today, trying to tell you happy birthday. Happy birthday dear. I hope the blessings you receive everyday is more than the number of days in an year. May you fulfill all your dreams and always walk the path that makes you happy. Happy birthday. I am so grateful to God that he sent you on earth on this day many years back, for if not, my life would not have been so much better and happier. Happy birthday. Happy birthday dear. Wear the birthday cap and blow the candles, cut the cake and dance away to the music. Celebrate your big day in the most fun filled and special way. Congratulations on completing another beautiful year. 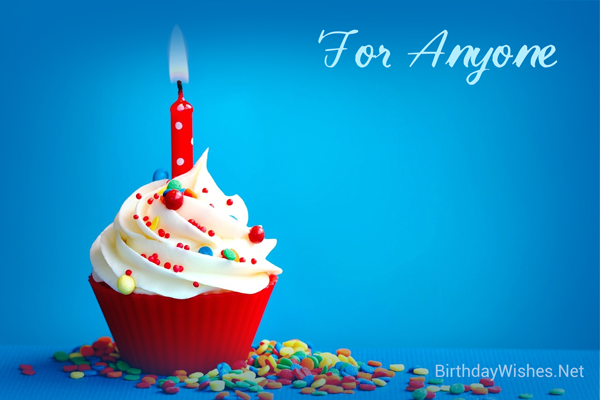 May your birthday always brings with it more than one reason to celebrate. Happy birthday.